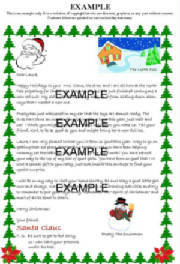 Letters From Santa is so glad you stopped by to visit our site. Please take a moment to view the examples of our products. We're proud to offer you an excellent value at low bargain prices.Santa makes ordering very convenient for you too. We accept orders from September 1st through November 30th. Our order form is easy to use and doesn't require a log-in. Best of all, Santa has kept our prices the same as last year and we always provide free shipping and handling! We hope our holiday letters and bars will make your little loved one's Christmas just as fun and exciting as our previous customers. Highly Personalized & Detail Specific Keepsake Letter! Santa Will Mention Up To 14 Personal References! Keepsake Letter Signed By Santa In Real Ink! Different Stationery & Letters For Multiple Children In Same Home! Colorful Holiday Stationery & Matching Envelope! Envelope Personally Addressed To The Child! Free Authentic Alaska (North Pole) United States Postal Service Postmark! Free Santa's Own Official Personal North Pole Stamp! Free Surprise Gift From Santa! Fun! Fun! Fun! 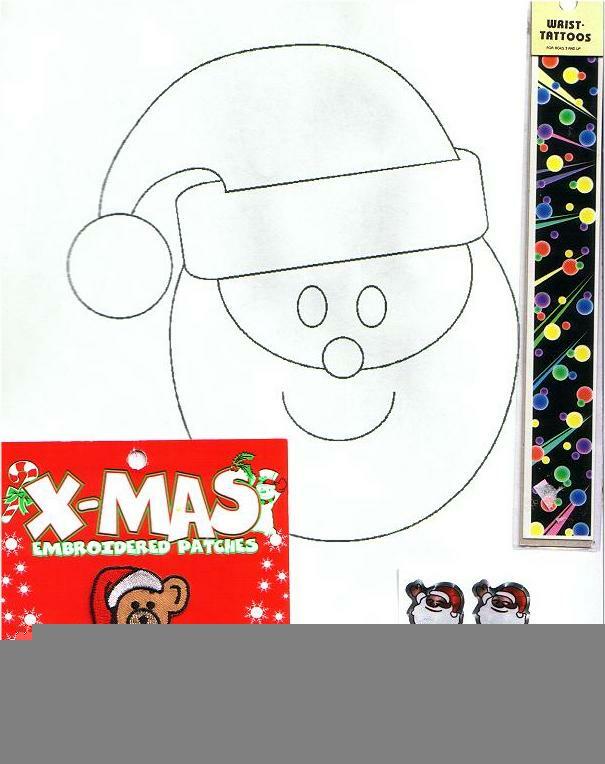 Free Christmas Coloring Page! Even more fun! Free P.S. Message Or Your Personal Message! Bonus 14th reference! Smiles, Thrills, & Treasured Memories For Your Child! Smiles, Thrills, & Treasured Memories For You & Your Family! Reinforces & Encourages Good Behavior! Helps Build Confidence & Self Esteem! Helps Maintain Childhood Innocence By Keeping The Belief In Santa Alive! Your Thoughtful & Kind Donation! Joy In Sharing The Christmas Spirit With Your Loved Ones! Joy In Sharing Good Will To Those In Need! No Required Log-ins! User-Friendly, 2-Step Easy-Order Process! Affordably Priced At Just $8.49 Each! Low Prices! Great Value! Personal, Confidential And Customer Friendly Service! Secure Online Payment Processing Through PayPal! We Simply Offer A Better Value For Less Money! Other Companies Don't Compare! And there's even more...such as early, convenient ordering, Santa Specials and a Free Santa Letter Reminder/Newsletter you can subscribe to! Click below to order your Santa Letter now to take advantage of all these reasons to choose and order Letters From Santa. Each letter is individually personalized with the customized information you provide. Santa personally signs each letter in real ink. Includes matching stationery and free shipping and handling. Orders to additional children, at the same address, will receive different stationery and gift enclosures. Graphics, designs and embellishments will vary. Share some joy today. This is just a small sampling of the kind of surprise gift your child can receive from Santa. When you order a Letter From Santa, each child will receive a free coloring page and a surprise gift. Gift enclosures vary and may include one of the following items: puzzle/word search/crosswords, tatoo/sticker, bookmark, activity/coloring page/book, stationery, pen/pencil/eraser, stencil, jokes/trivia, patch, recipe/poem/story, seed packet, jewelry or other available item. Sorry but we are out of stock of the items below. Each foam holiday photo ornament craft kit creates family fun, memories and interaction. Includes decorations, ribbon and instructions. School photos work great in these crafts as they are approximately 4" with a 2" photo area. Make your children the star of the season by hanging their pictures on your tree. You will receive two of the four styles available but due to limited supplies you cannot make a preference. All crafts are shipped separately to the purchaser or parent of child. No personalization available. Glue not included. Crafts are intended for children aged 3 and older. Lots of fun for your little ones. Each Santa & Me holiday photo frame craft kit is fun for the whole family. Includes decorations and instructions. Kit is made of foam and is approximately 4" and holds a 2" x 2 1/2" photo. Hang your child's photo on the fridge season or anyhwhere a magnet will work. You will receive one of the three styles available but due to limited supplies you cannot make a preference. All crafts are shipped separately to the purchaser or parent of child. No personalization available. Glue not included. Crafts are intended for children aged 3 and older. Create a memory today. Santa's Magic Key! Limited Availability-Order Today! Does your home have a fireplace? If not, then your little loved ones may be worrying about how is Santa going to get in the house and deliver all of those wonderful presents. Well worry no more because Santa now has a special, magical key to let him in. Just have your kids hang Santa's Magic Key on the front door knob before they go to bed so Santa can deliver their presents. No personalization available. Secure Hershey® Wrapper With Sealed Ends! Free Personalization Of Child's First Name! Free Seasonal Greeting & Graphics! Free Santa's Special Ingredient List Printed On Wrapper! Free Mini Candy Cane With Every Holiday Bar! Free Santa's Official North Pole Stamp! Your Choice To Purchase With Or Without Santa Letter! No Log-ins! A User-Friendly Order Form! 2-Step Easy-Order Process! Affordably Priced At Just $2.49 Each! Low prices! Great Value! This is an example of how your personalized Hershey® Chocolate Holiday Bar could appear. Holiday Bars will vary in design and graphics. Please note pictures are not actual sizes. Full size bars come in two sizes, 1.55 oz for milk chocolate and 1.45 oz. for milk chocolate with almonds. Great for Christmas parties too! Everyone loves chocolate! Share some today. 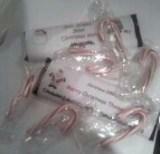 Your child will receive one free mini candy cane with every Chocolate Holiday Bar ordered. Just order a Chocolate Holiday Bar and we'll be sure to include a mini candy cane everytime. Candy cane flavors may vary and cannot be pre-selected. Santa's favorite flavor is peppermint so we will try to send that flavor much as possible. Did you know that a chocolate bar is actually low in cholesterol? whereas a 1-ounce piece of cheddar cheese contains 30 milligrams.